We still don't like the magazine. Why only one year warranty? With a score of 97%, the FX Crown air rifle is the highest-rated air rifle ever tested by HAM. The HAM Team loves almost everything about the Crown. Of course it's a Gold Award winner! In .177 caliber, it would be ideal for Field Target competition. Larger calibers - up to .30 - make it ideal for long range benchrest shooting. As proof of this, a FX Crown was used to win the 2017 Extreme Benchrest competition. The larger caliber Crowns would make great hunting rifles, too. However, we'd probably take the synthetic stocked version in this case due to the inevitable dings that would damage that beautiful stock. 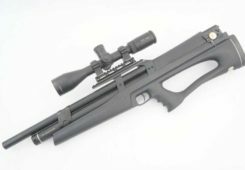 At a Street Price one cent short of $2,000 for the rifle only, the FX Crown air rifle could never be described as cheap. 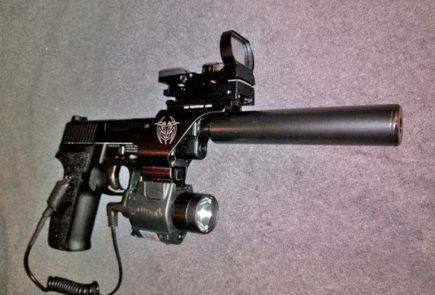 And then there’s the need to buy a scope, mounts and HPA charging equipment, of course. First launched at the 2017 IWA Show, the Crown is still in great demand – particularly with the addition of a synthetic stock model this year. In may respects, it takes the features which have made the FX Impact so popular and provides them in a traditional, full-length format. 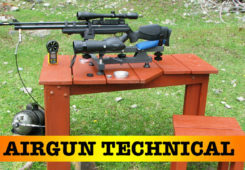 HAM Tester Doug Rogers thinks that this test gun is so fantastic that he wants to buy it! Value For Money Very pricey but almost perfect. Best For Anyone who has to have the best. Street Price at Time of Test $2,000+ scope. Of course, for the owners of an air rifle of this quality, the maximum muzzle velocities are rather meaningless. However, the maximum FPS achieved was 1,140 FPS with the 4.7 Grain Gamo Raptor Platinum alloy pellets. 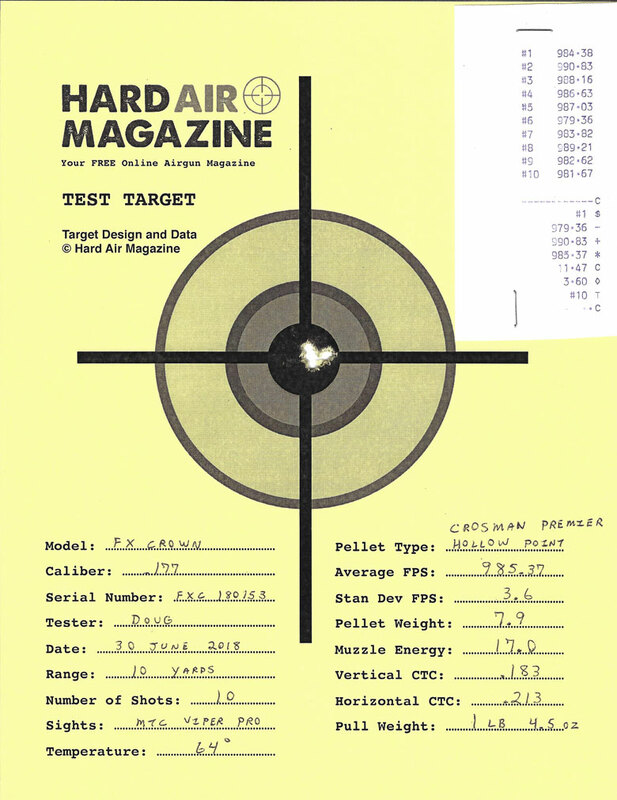 The highest velocity with lead was achieved using the 7.0 Grain RWS Hobby pellets, as expected, at 1,019 FPS. Of much more importance was that the .177 caliber FX Crown air rifle tested by HAM produced muzzle velocities in the 900 – 980 FPS range with medium – to heavy weight domed lead pellets. That is what the Field Target shooter who buys this rifle really wants to see. All these numbers were achieved with the rifle set to Max power – as received here at the HAM offices. Gamo Raptor Platinum 4.7 Grain 1140.90 FPS 13.58 Ft/Lbs OK.
H&N Field Target Trophy Green 5.56 Grain 1103.03 FPS 14.97 Ft/Lbs OK.
RWS Hobby 7.0 Grain 1019.16 FPS 16.14 Ft/Lbs Poor. Crosman Premier HP 7.9 Grain 985.37 FPS 17.0 Ft/Lbs Excellent. H&N Field Target Trophy 8.64 Grain 968.20 FPS 17.98 Ft/Lbs Excellent. H&N Baracuda Match 10.65 Grain 894.63 FPS 18.93 Ft/Lbs Excellent. Best Tested. Accuracy was excellent with mid-weight and heavy lead pellets. All the HAM standard test suite of pellets grouped well from the 7.9 Grain Crosman Premier Hollow Points on up. Even the light alloy pellets didn’t behave too badly, although nowhere as well as lead pellets. 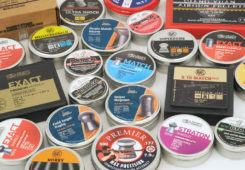 FX says that their Smooth Twist X barrels – as fitted to the .177 caliber FX Crown air rifle tested by HAM – are designed to work best with JSB pellets. However, the gun we tested proved most accurate with H&N Baracuda match pellets, as you can see here. For the record, Doug also shot a 10-shot string of JSB Heavies – not a normal HAM test pellet, but one of his favorites. The results were excellent too, but the Baracudas still have the edge at least in our testing. 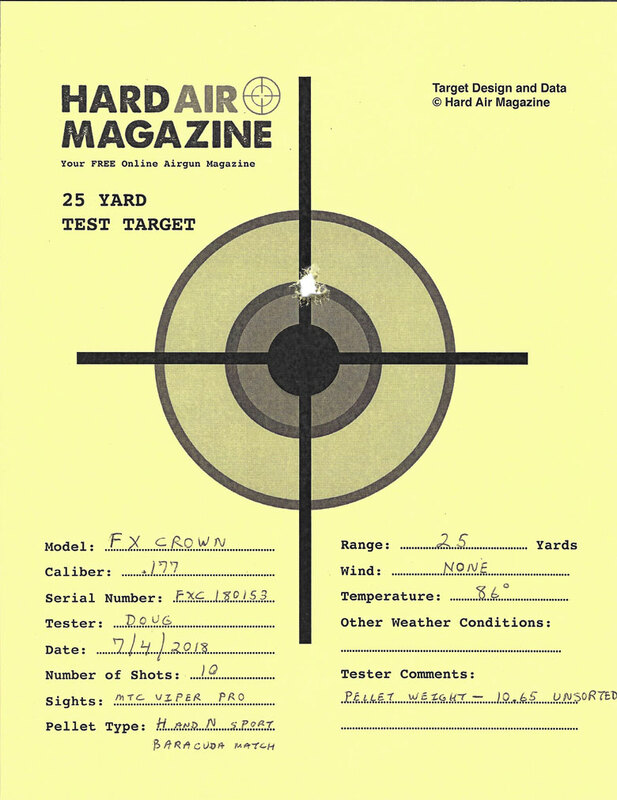 The trigger pull of the FX Crown air rifle tested by HAM was sublime. The first stage is incredibly light and smooth. On pulling back further, you encounter a very clear, distinct “stop”. That’s the second, release, stage. That second stage has absolutely no creep or slack, there’s not a trace of “mushiness”. Instead a small amount of additional pressure trips the sear with no additional movement. This really is a “glass break” trigger. The trigger blade itself is beautifully shaped and finished. It invites the ball of the finger to apply pressure in just the right way. 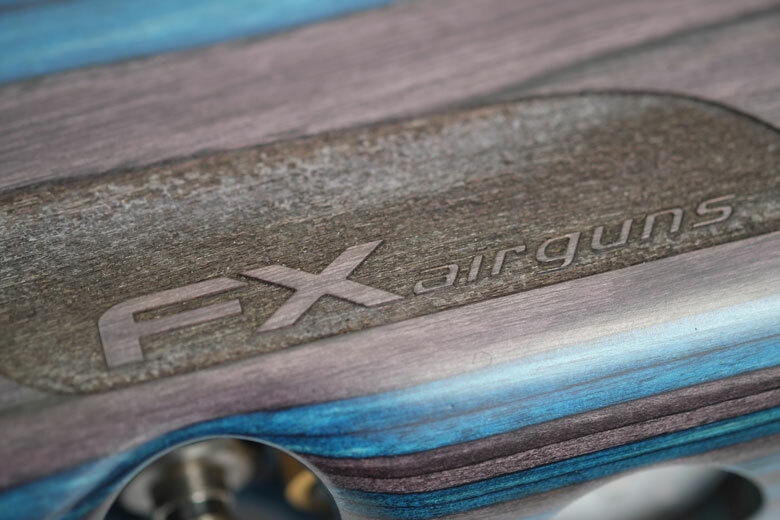 Overall, releasing the trigger of the FX Crown air rifle is a tactile joy in itself. Trigger pull weight of the FX Crown air rifle tested by HAM was a light 1 Lb 14 Oz. 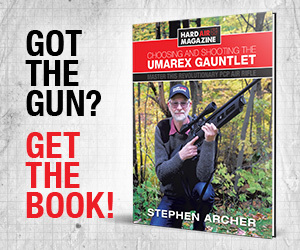 It felt – and was – incredibly consistent when tested with an electronic trigger pull gauge. Of course, the trigger is adjustable for pull weight of both the first and second stages. But the HAM Team can think of no reason why anyone would ever want to change the factory trigger settings on this gun! The only missing feature from this trigger is the ability for the blade to be moved forward or back, to accommodate particularly long or short fingers. But that didn’t matter to the HAM testers, it was ideal for us. 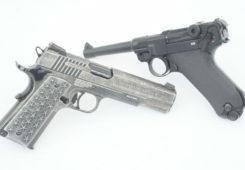 The trigger can be de-cocked by holding the cocking lever back, setting the safety to safe, and pulling the trigger at the same time as pushing the cocking lever forward. The safety lever is conveniently placed on the right of the stock, just behind and above the trigger blade. It works precisely and easily. 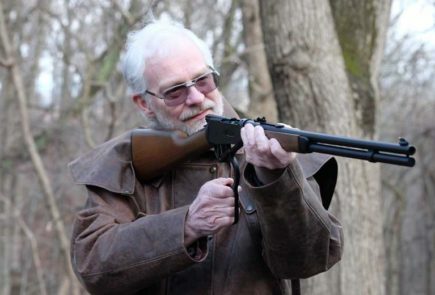 However, remember that the safety of the FX Crown air rifle is only intended to be applied when the rifle is cocked. As expected, the side lever action was buttery smooth. Very light and easy to operate. We measured the cocking effort at just 8 Lbs 15 Oz. This is the level of excellence in trigger and cocking action that you expect from a $2,000 air rifle! 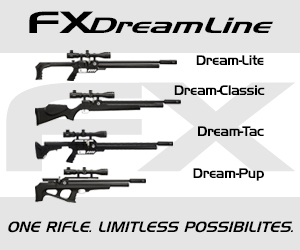 Again, the FX Crown air rifle delivers! 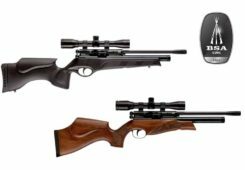 In common with most top-end airguns, the manufacturer makes very few performance claims for the FX Crown air rifle. 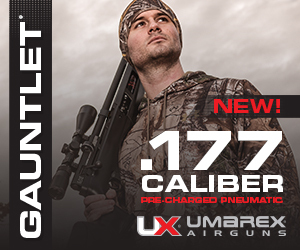 Maximum Muzzle velocity is claimed at 1,000 FPS for the .177 caliber model. The sample tested by HAM exceed this claim easily with all our standard test pellets of 7.0 Grains weight and less. The other “hard” specification claim is that the Crown delivers a maximum of 18 Ft/Lbs of Muzzle energy in .177 caliber. This was matched by the 8.64 Grain H&N Field Target Trophy pellets and exceeded by the heavier Baracudas in HAM testing. 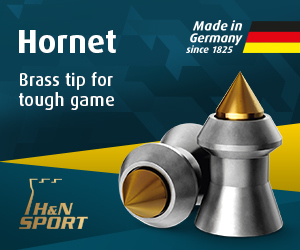 Consistency was another outstanding attribute of the FX Crown air rifle tested by HAM. 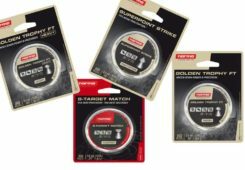 The average Standard Deviation – the measure of shot-to-shot consistency across a string – was extremely low at an average of just 5.13 FPS across the standard range of HAM test pellets. Now for the trigger pull weight. This was so close to perfect that HAM Tester Doug Rogers had to resort to measuring differences of one tenth of an Ounce to detect any inconsistency from shot-to-shot. We’ll call that perfect consistency! 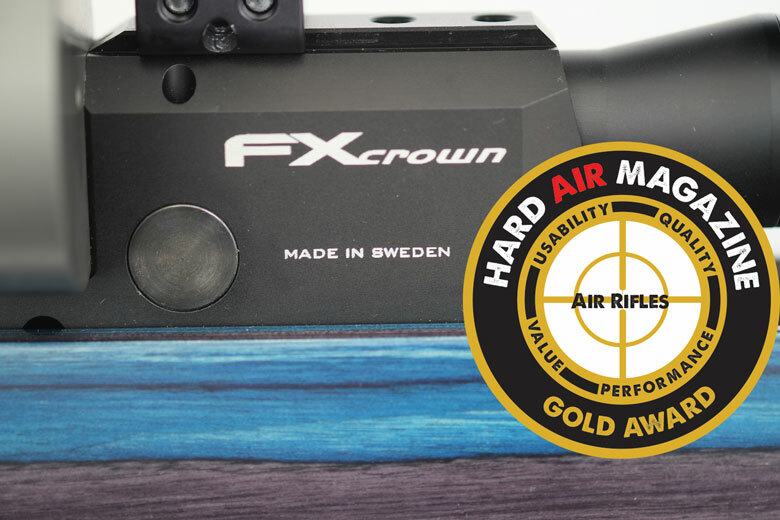 The FX Crown air rifle tested by HAM gave an outstanding consistent shot count. We achieved around 200 consistent shots from one fill of the Crown’s tank. Indeed, it was over 210 shots before the Muzzle Velocity really began to tail off perceptibly. Wow! 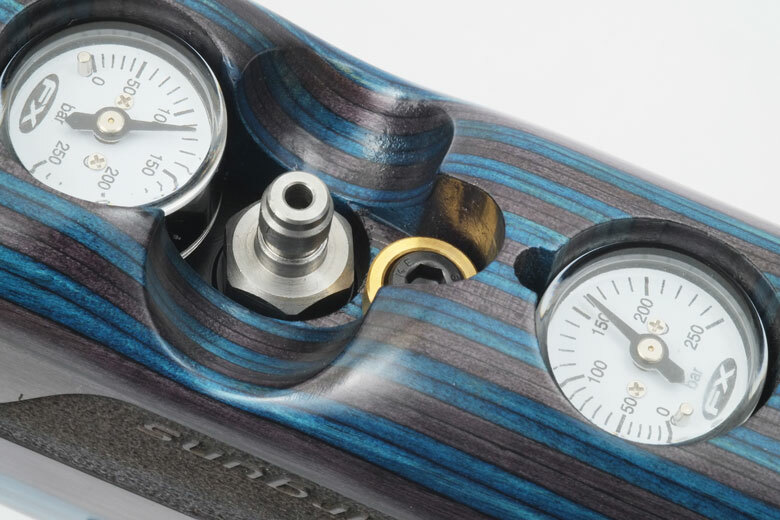 The FX Crown air rifle is supplied with a built-in shroud. This shroud has two operating positions: pushed right in and pulled right out. When in extended mode, the shroud makes the report extremely quiet. It’s quiet even in closed mode, just not quite so much. The report is a little louder and sharper with the shroud closed, so there’s a difference in both volume and tone. 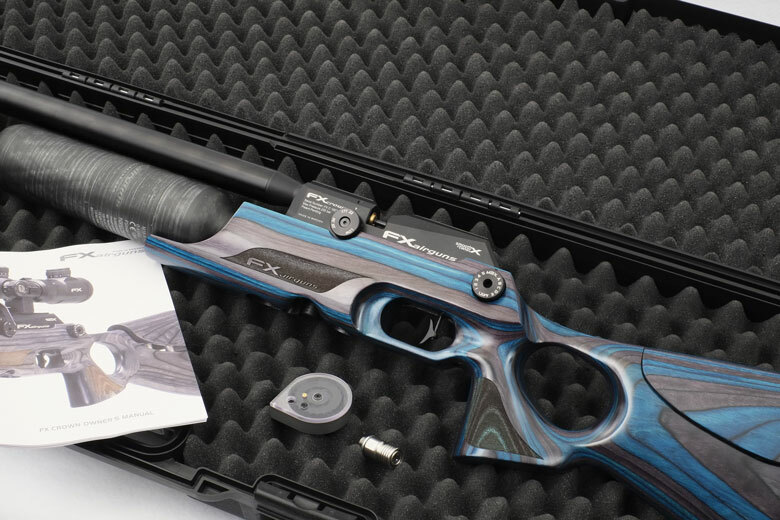 This makes the FX Crown air rifle one of the quietest air rifles HAM has tested. It’s certainly backyard-friendly by any standards. 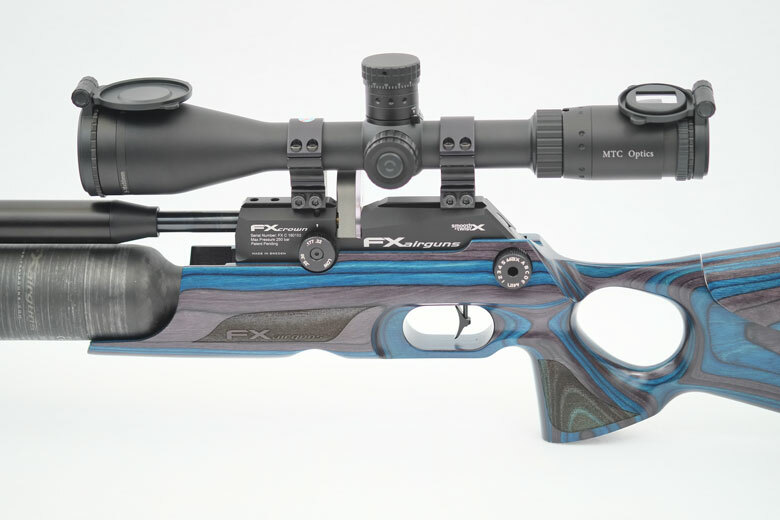 As you would expect for a top-end model, the FX Crown air rifle is fitted with no open sights. There’s no need: nobody would use them. Choice of scope is left to the owner, to be mounted on the standard airgun rails machined into the breech. For this test, the HAM Team mounted a MTC Optics Viper Pro 3-18 x 50 scope using SportsMatch adjustable high rings. The high capacity – 18 shot – .177 caliber magazine dictated the use of high rings. The MTC Viper Pro mounted easily on the Crown. It balanced well and altogether made an enjoyable shooting rig, weighing just 9 Lb 4 Oz. 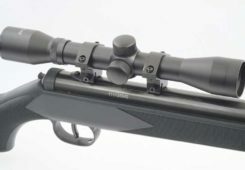 As the FX Crown air rifle magazines load from the right side, there’s no issues with using a big sidewheel scope. 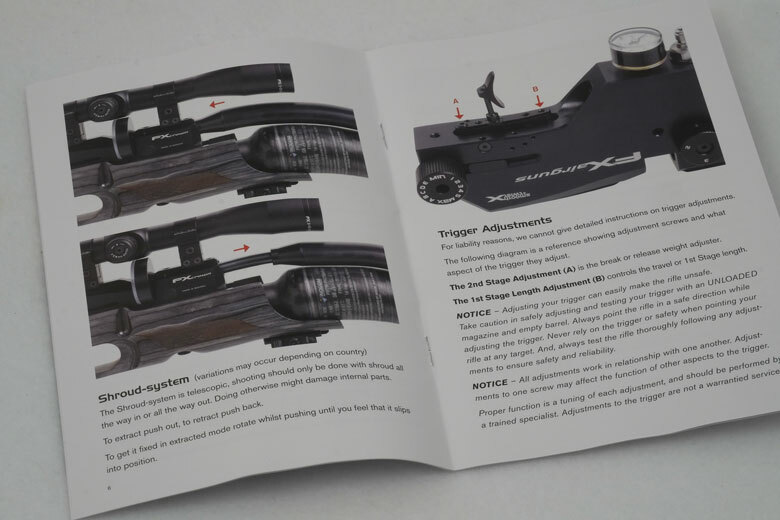 The FX Crown air rifle scores on shootability as well! This is an amazingly light air rifle, weighing-in at only 7 Lbs 1Oz with a full HPA tank and empty magazine but without a scope. The HAM Team found that the Crown shoulders well and points naturally, with the light weight being an added advantage. 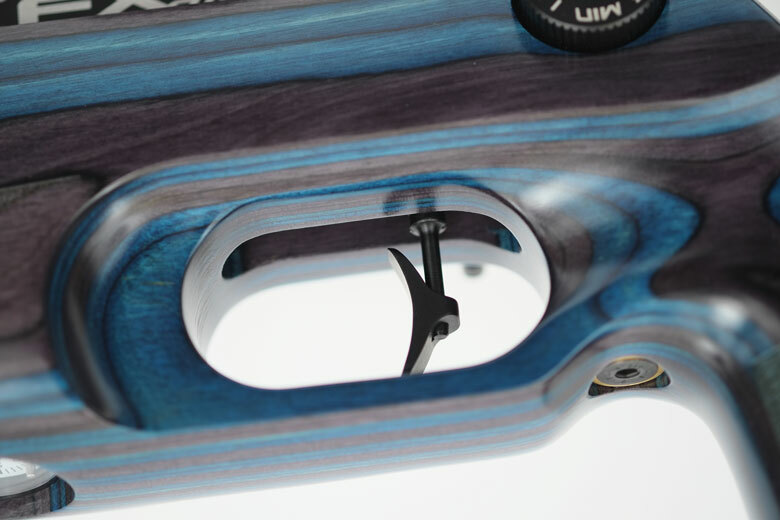 The thumbhole stock provides an ideal position for the firing hand: the trigger finger falls into place naturally. The point of balance falls directly through the natural position of the forward hand, just forward of the trigger. Both comfort and cheek weld are facilitated by the adjustable cheek piece. The rubber buttpad is vertically adjustable using a 5mm hex (Allen) wrench. Overall, the Crown is one of the best-handling air rifles the HAM Team has shot. Combining this with the delightful sidelever action and great trigger makes shooting the FX Crown air rifle a delight. 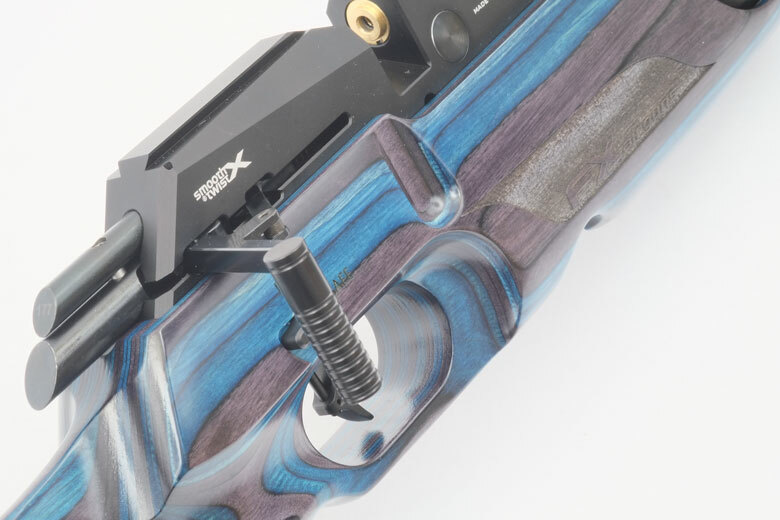 The combination of elegant design with obviously superior quality materials and flawless finishing makes the FX Crown air rifle a delight to view. It also gives a wonderful tactile impression for the lucky owner, whenever her or she uses it. As always, beauty is in the eye of the beholder, but the HAM Team feels that the Minelli stock is gorgeous! The blue/black laminate gives a sophisticated loom to the Crown. 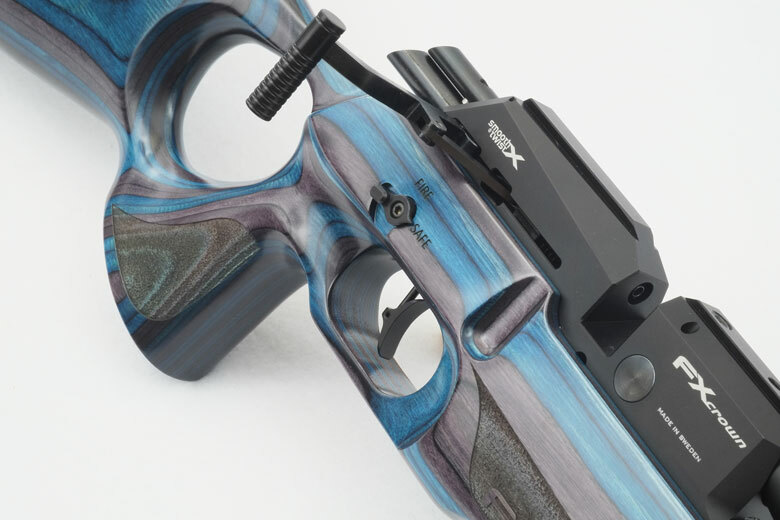 And if blue is not your color, there’s choices of other laminate colors, traditional walnut and a black synthetic stock available for the FX Crown air rifle. The FX Crown air rifle is supplied with one magazine. 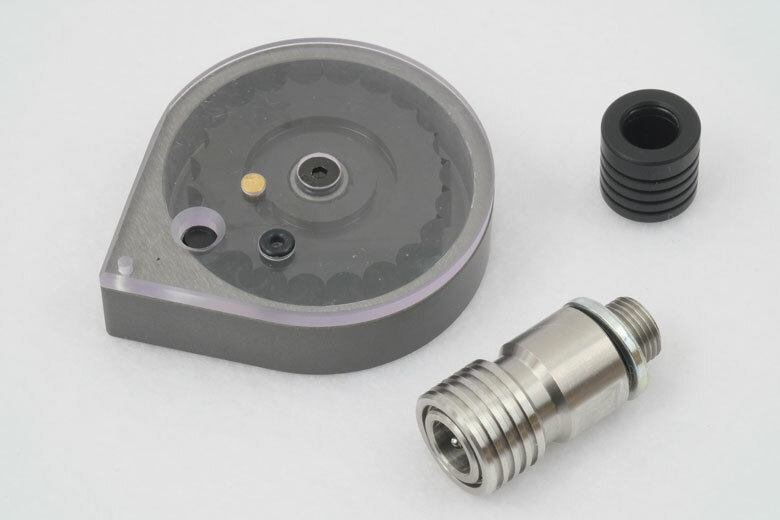 There’s also a special extended-shank female quick disconnect and a push cap for the male quick disconnect on the gun. The magazines themselves are not marked with the caliber – you’ll regret this if you have multiple calibers. They also provide no indication of the number of shots remaining, as is common practice on even low cost magazine-fed PCPs. So you will have to remember how many shots you have taken. This is not so easy with such high capacity mags – the .177 cal version holds no less than 21 pellets, for example. 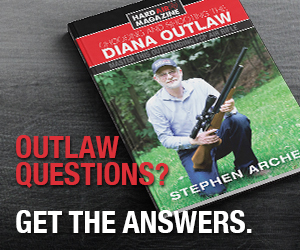 Of course, the empty magazine prevents a “blank shot” from taking place, but it would still be good to know how many pellets are still in the magazine. And then there’s the need to place the first pellet skirt first into the magazine when loading. That’s really still un-intuitive to the HAM Team, although we’re slowly getting used to it with experience. Note that there’s no factory single shot tray available for the Crown. The Owner’s Manual is specific to the Crown. It’s well-written and illustrated, however in English only. 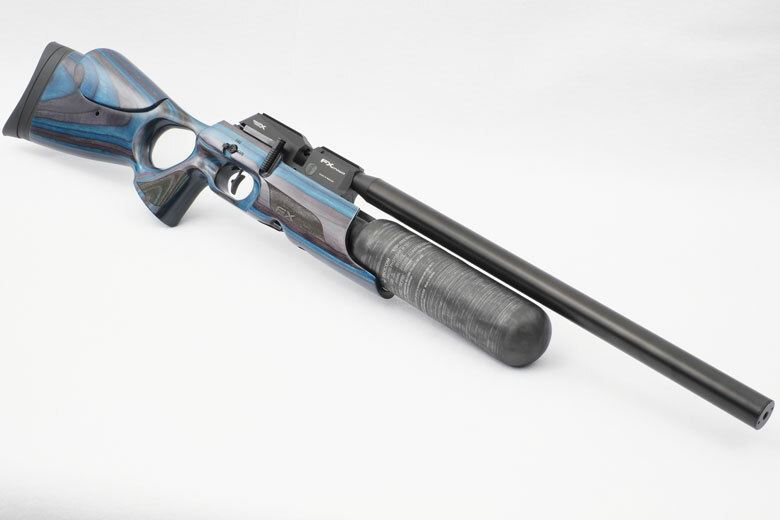 At a time when it’s possible to buy a $110 Crosman Optimus break barrel that’s covered by a 5-year warranty, the one year limited warranty of the $2,000 FX Crown air rifle does seem rather unimpressive – even if you’re never going to need the coverage. On to more positive things. The ability of the FX Impact to be converted to different calibers is very well implemented. Just pull out the barrel and replace the bolt. And use a different magazine, of course! If sticking with the same caliber, you can change barrel characteristics using the interchangeable Smooth Twist X liners. 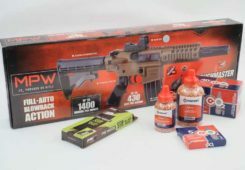 Together with the many power adjustment options, this provides the Crown owner with flexibility that’s un-matched by any other air rifle at this time. Finally, the FX Crown air rifle is also supplied in a high quality hard case. 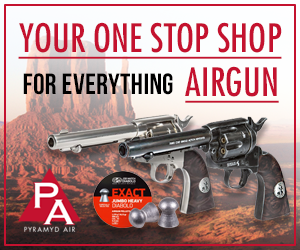 This provides excellent protection for the air rifle both during its journey to you when new and also on trips to the range.